Charles Russell ("Bud") Collins Sr.
Charles Russell Collins Sr. “Bud”, Fairchance, Pa.
Charles Russell Collins Sr. “Bud” 87 of Fairchance, Pa. passed away unexpectedly on Monday, July 9, 2018 at the Uniontown Hospital. He was born June 22, 1931 in Ronco, Pa., the son of Russell Collins and Gwendlyn (Burke) Collins. Preceding him in death were his parents; his wife of 50 years, Mary Elizabeth (Hibbard) Collins; grandson, Donald Collins; son-in-law, Dennis McClelland Sr.; sisters, Frances Hixon and Louise Aleva; brother, William Collins; niece, Debra Hercik; nephews, Thomas Hixon, Dave Hice and Bobby Hice; father-in-law and mother-in-law, Ralph and Bertha Brangard and grand daughter-in-law, Tiffany Fleet McClelland. Bud is survived by his children, Charles Collins Jr. and wife Christy, Pottsville, Pa., Mary Lee McClelland and boyfriend Donald Mansberry, Fairchance, Pa. and Linda Sue Dillow and husband Larry Dillow Jr., Haydentown, Pa.; grandchildren, Dennis Jr., Andrew, Haylee, Skyler, Cayleigh and Joanie; brothers, Jimmy Collins and wife Carol, State of Ohio and John Collins, Ronco, Pa.; sisters, Betty Kaylor (Lucky), Marie Hice (Bill) and Rose McGalla (Clem); brothers-in-law and sisters-in-law, Jim and Joy Brangard, Sam Brangard, Helen and Frank Clemmer, Lynn Bloom, Oney and Glenn Wilson, Laura and Wayne Moats, Toni Zooner and Noah and Jenny and Charles Shaffer and many nieces, nephews and special friends. He was retired from the Child Development Center in Uniontown and the Village Laundry Matt in Hopwood. 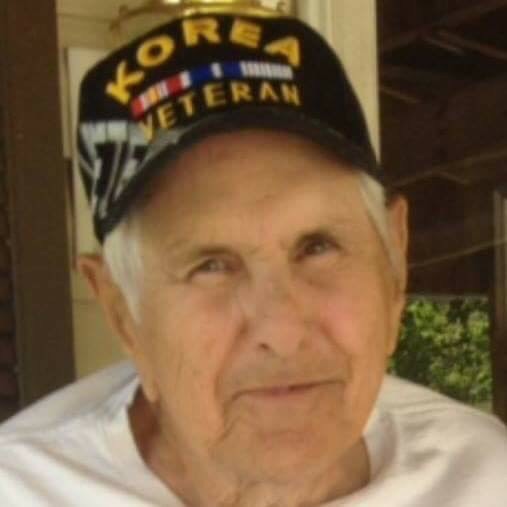 Bud was a US Army Veteran serving in the Korean Conflict. The family will greet friends and family in the Dean C. Whitmarsh Funeral Home, 134 West Church Street, Fairchance, Pa. on Wednesday from 2 to 4 and 6 to 8 p.m. and on Thursday, July 12, 2018 until 10:00 a.m. The Funeral Service begins at 10:00 a.m. with Pastor Jason Lamer officiating. Interment will follow in Maple Grove Cemetery, Fairchance, Pa.with Military Rites being accorded by General Marshall Amvets Post 103.